They have since targeted “independent 25- to 34-year-old women who are confident in their choices and are happy to stand out from the crowd”. They sponsored this year’s London Fashion Week, where they “specifically demonstrated to younger consumers how the brand can fit into modern lifestyles” and pledged to “reinvigorate and contemporise sherry and bring in younger consumers, something which is crucial to the category’s future success”. Lots of people are trying to make sherry cool, yet still it sits, neglected, on the supermarket shelves, from whence it rarely moves despite near-insulting prices – Manzanilla La Gitana, a genuinely delicious companion to a summer sunset and a few olives and regularly lauded by critics, costs less than £8. 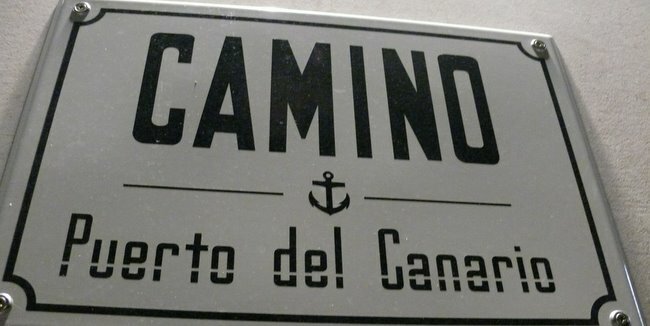 Then there’s Richard Bigg, the man behind Kings Cross Spanish-themed hang-out Camino: Cruz del Rey and its entirely sherry-focused little brother Pepito, and now the all-new Camino: Puerto del Canario in Canary’s Wharf. “Sherry is druggingly delicious and I think the public are ready for it,” he told Decanter earlier this year, and certainly the critics are – the original Camino was named bar of the year in the Observer and Pepito is Time Out’s best new bar of 2010. Now the experience is being rolled out to high-flying City types, Jubilee Line extremists and Thames Clipper boat-trippers (it’s a mere olive pit-spit from Canary Wharf Pier). I was not immediately bowled over. It’s the second outlet, but it looks like the 50th. From the branded t-shirt-clad staff to the Belgo-style industrial-chic aesthetic, it reeks of chain. There’s not much they could have done to add character to what is a very shiny new development, but I certainly prefer the exposed brickwork of the Kings Cross original to the meshed metal and bare pipes in Canary Wharf. The place must be transformed in summer with the front opened up and the Thames flowing past – to see the best of it, from the food to the river view, you’ve got to look past the interior design. There’s nothing offputting about what they give you to eat, though. A lot what I tried was simple but excellent – greaseless calamari, slice-with-a-fork-soft octopus, delicious thin-sliced pork shoulder, excellent rib-eye steak “served basque style” (cooked, on a plate – those Basques have a fairly simple style), and simple-but-dreamy vanilla ice cream bobbing in syrupy pedro ximénez. 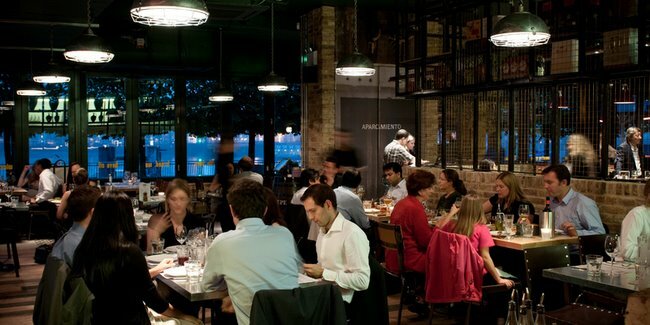 The menu is identical to that in Kings Cross, with the kitchen again overseen by Nacho del Campo, the most unassuming of head chefs who came to Camino from Spain via a dreadful-sounding place in Exeter. Most things cost around £5, with only the bigger steaks and sharing platters exceeding £10. If you’re hungry you’ll probably spend about £25 a head on food, and you’ll taste lots of nice stuff and feel full and happy. The all-Spanish wine list has plenty of interest at all price levels – seven reds and six whites at or below £20, up to a Vega Sicilia Unico 1999 for £290 (from a “Big Guns” menu that you won’t find in Kings Cross). It’s also particularly easy to decipher, with all the grapes listed to help you on your way. My wine of the night was the Torre Silo, Cillar de Silos, a seriously food- and mouth-friendly tempranillo that at £54 is sadly a little less friendly to your wallet. And the sherry? Well, there are seven on the menu (not bad, though there are 15 at Pepito), no sherry cocktails and not even the suggestion that you give it a go with lemonade. A fino would be near enough unbeatable on a warm afternoon, stretched out on the terrace with the river rolling past, some tapas on the table and the sun in the sky, but as the nights draw in perhaps it’s just as well to concentrate on the food. 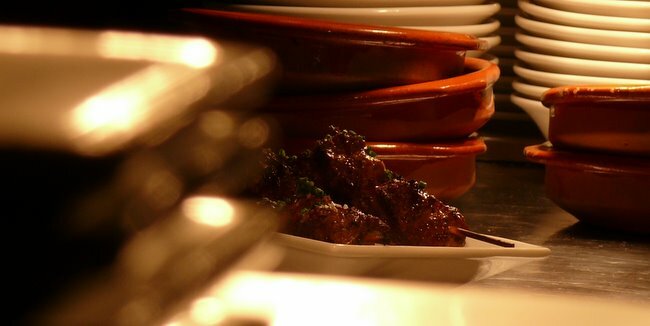 This entry was posted in Uncategorized and tagged camino, canary wharf, Eating out, restaurants, spain. Bookmark the permalink.